MELBOURNE, Fla. – Head men’s lacrosse coach Mark Penn is excited to announce Florida Tech’s 2019 schedule for his first season at the helm of the program. The slate includes five home games at Panther Field, located at the F. W. Olin Sports Complex, as well four contests with opponents positioned in the 2019 Nike/US Lacrosse Preseason Top-25 Poll. SSC members, Tampa (No. 5), Saint Leo (No. 10) and Lynn (No. 19), are ranked in the preseason poll. Florida Tech is receiving votes in the ranking along with Rollins College and Florida Southern College. The Crimson & Gray finished with a 9-6 record in 2018, including a 6-1 mark in the Sunshine State Conference. Tech became the first men’s lacrosse program in SSC history to win six league games in a single season. The Panthers then made the SSC Tournament for the second year in a row, falling to Tampa in the first round. Florida Tech ended the campaign ranked 16th in the final Division II poll. The season begins with road games against Coker College on Feb. 10 in Hartsville, S.C. and Young Harris College on Feb. 16 in Young Harris, Ga. The Panthers’ home opener is set for Feb. 23 when they welcome Catawba College to Panther Field. A neutral site showdown with preseason No. 3 Lenoir-Rhyne, a Final Four team last season, is slated for Mar. 2 in Savannah, Ga. Florida Tech faced LRU last season and nearly knocked off the then-No. 6 team in the nation, but a fourth-quarter run allowed the Bears to pull away for a 14-12 win. The Panthers conclude their non-conference schedule on Mar. 19 with a home game versus Nichols College. Florida Tech kicks off its SSC slate on Mar. 23 by hosting Rollins at Panther Field. The Panthers will then travel to face No. 5 Tampa on Mar. 27 and No. 19 Lynn on Apr. 3, before returning home for a battle with Palm Beach Atlantic on Apr. 6. Road games at Embry-Riddle (Apr. 10) and No. 10 Saint Leo (Apr. 13) will be followed by the Panthers’ regular-season finale and Senior Day game against Florida Southern on Apr. 20. The 2019 SSC Tournament is set for Apr. 25-28 and will be hosted by the team that finishes atop the conference standings at the end of the regular season. The NCAA Championship begins on May 8 with the first round of the tournament. 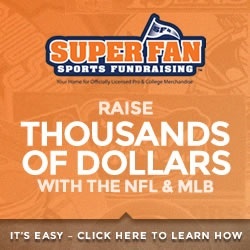 The National Championship is on May 26 at Lincoln Financial Field in Philadelphia. 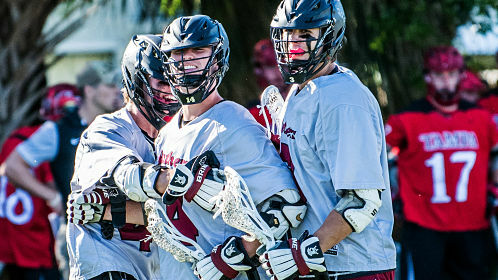 For the latest news, updates and information on the Florida Tech men’s lacrosse team, visit FloridaTechSports.com. Fans can also stay up-to-date on the latest Panthers news by following Florida Tech Athletics on Facebook, Twitter, Instagram and YouTube. PrevFLN Appears On The Latest LaxRecords.Com Podcast! NextNSU University 2019 Drew Hoffman Commits to Haverford College!